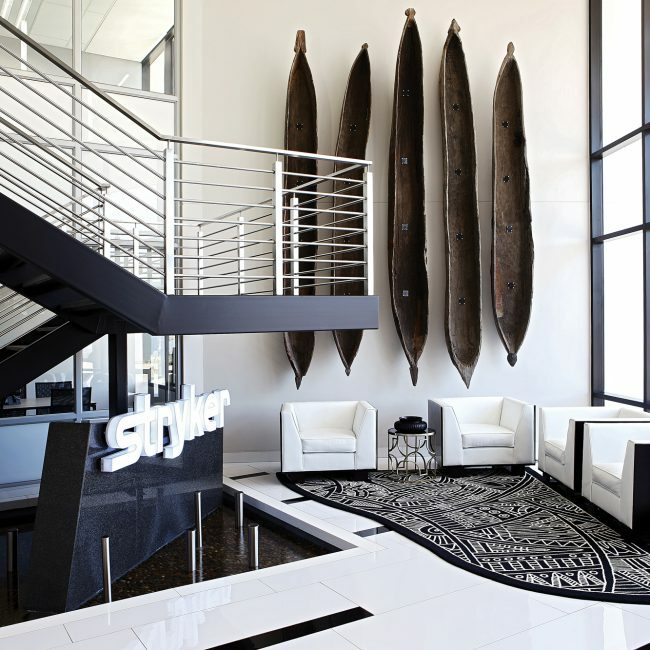 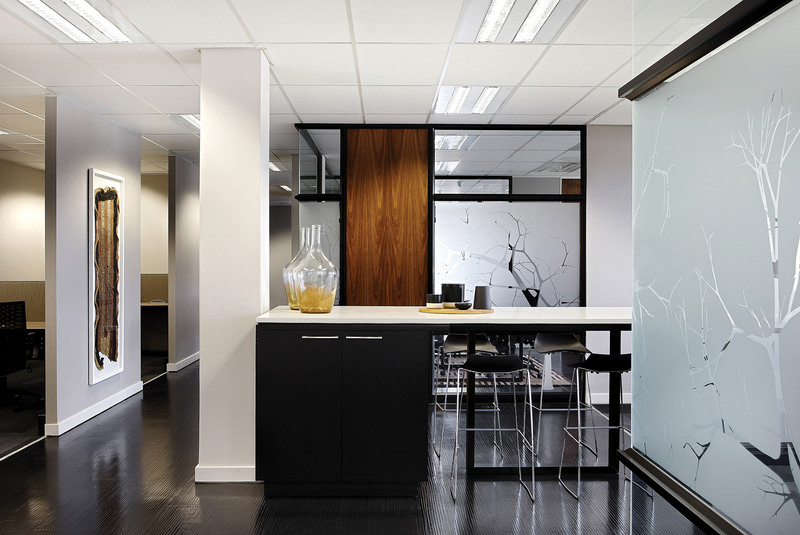 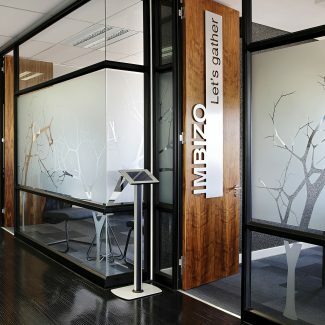 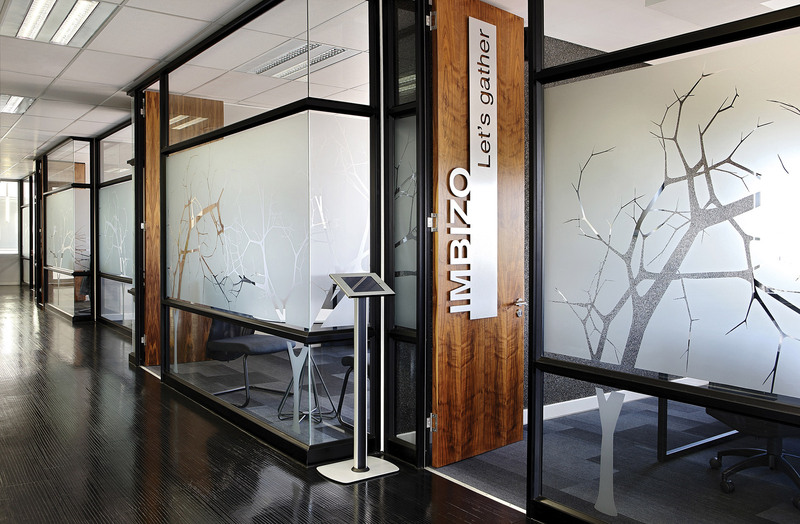 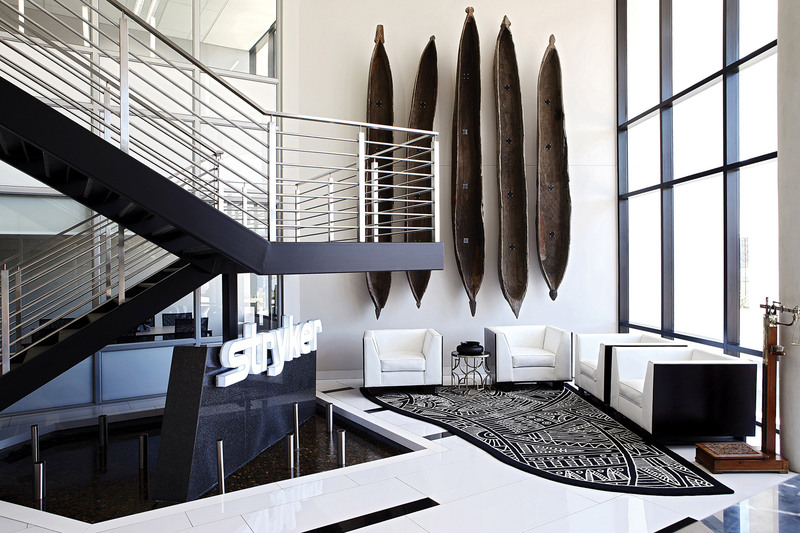 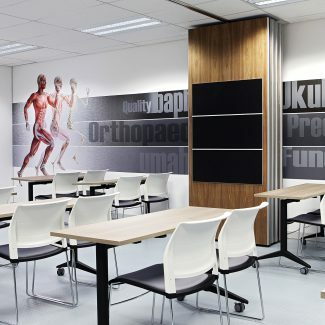 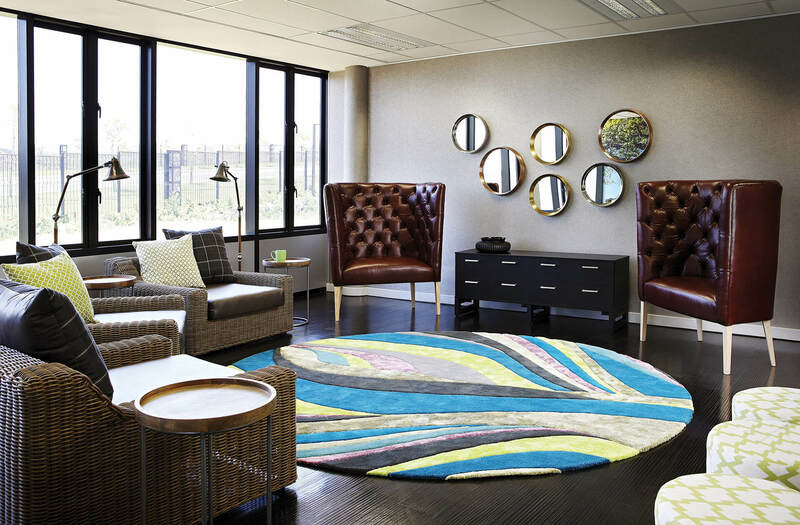 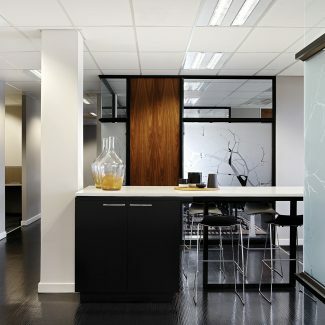 Tétris was tasked with bringing a subtle African feel to the new South African head office for international medical devices and equipment manufacturer, Stryker. 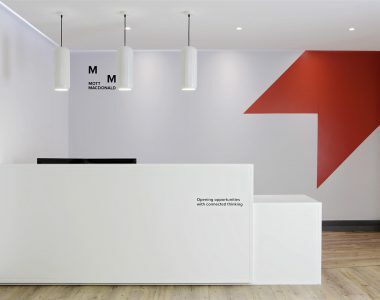 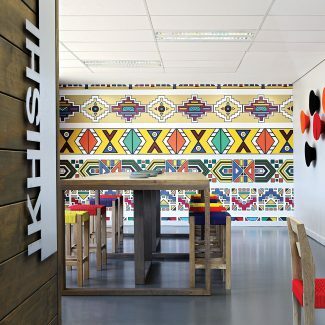 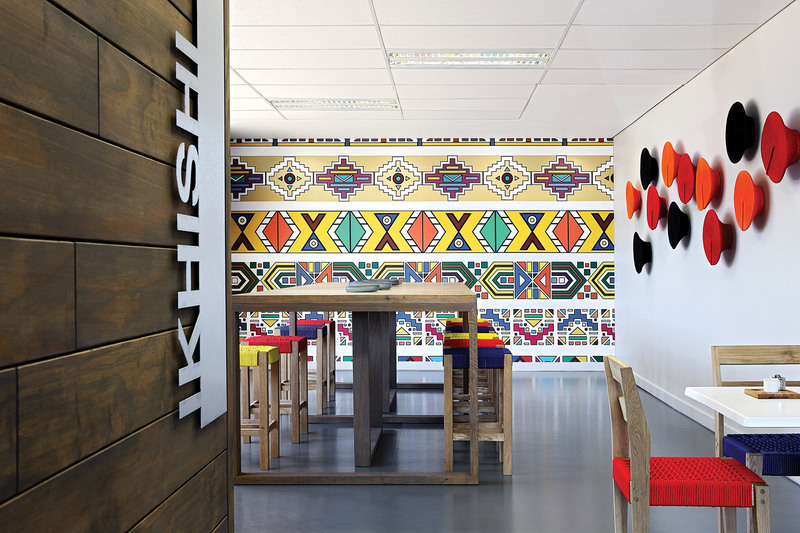 In keeping with the black and white of their corporate identity, the vibrancy of Africa’s colours and textures were incorporated, bringing a unique quality to the space. 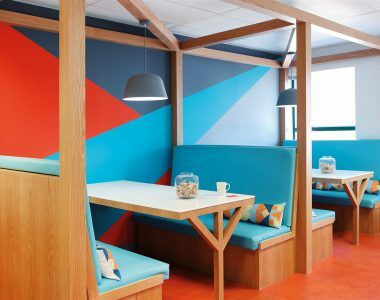 As the client’s representative in the professional project team for this customised new build in Waterfall Industrial Park, Tétris gave input on any items that could affect the approved design aesthetic throughout the build process. 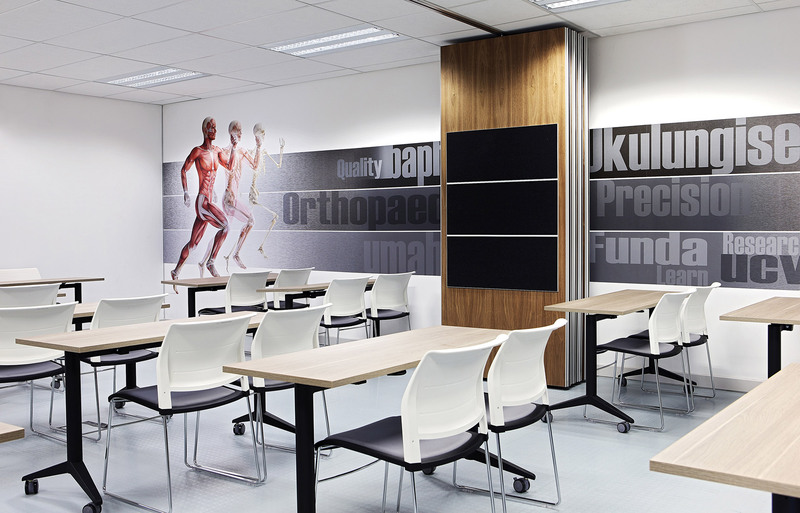 This two storey building consists of 60% cellular offices and 40% open plan workstations. 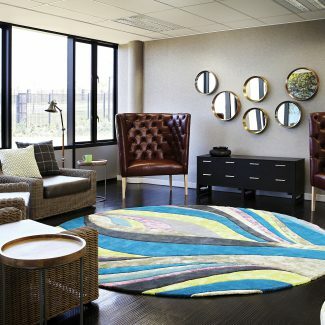 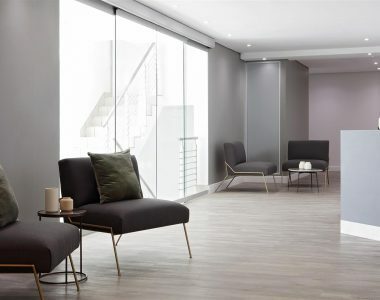 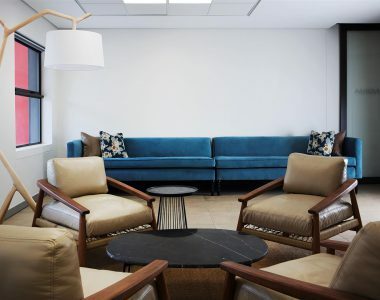 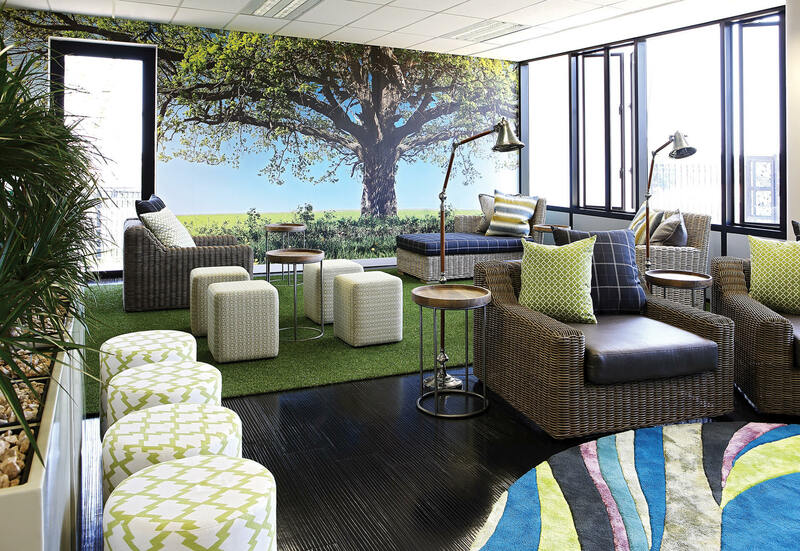 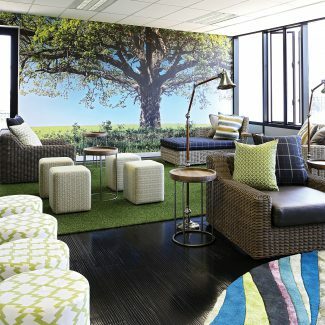 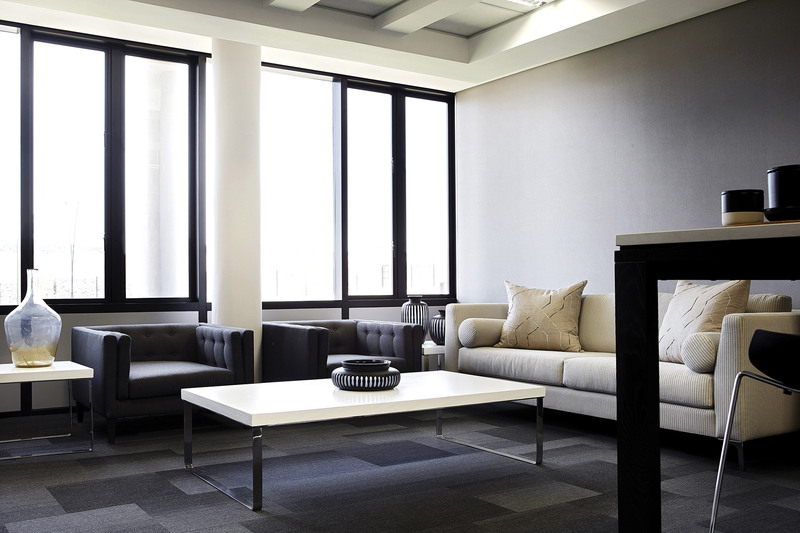 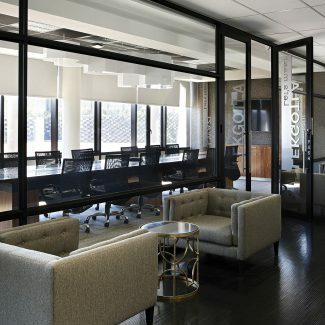 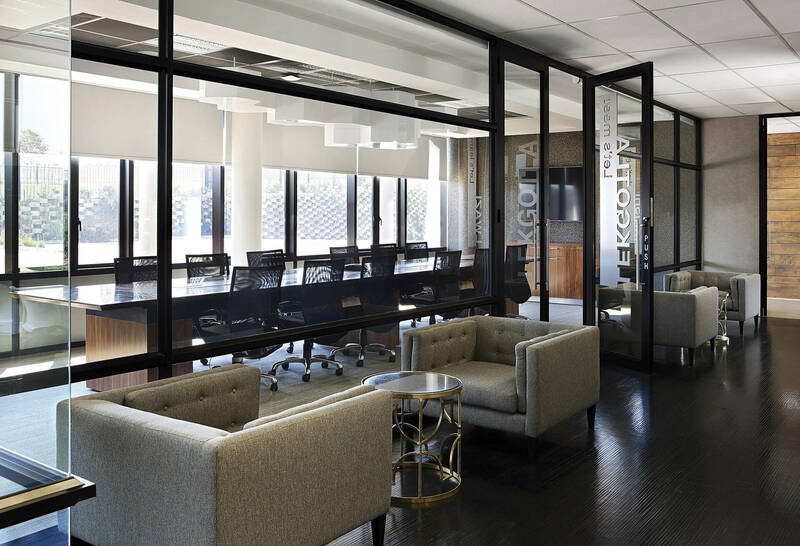 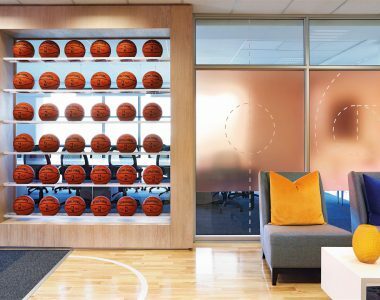 Among its meeting rooms, it incorporates two interconnecting training centres and breakaway areas, including the sought after ‘chill’ zone. 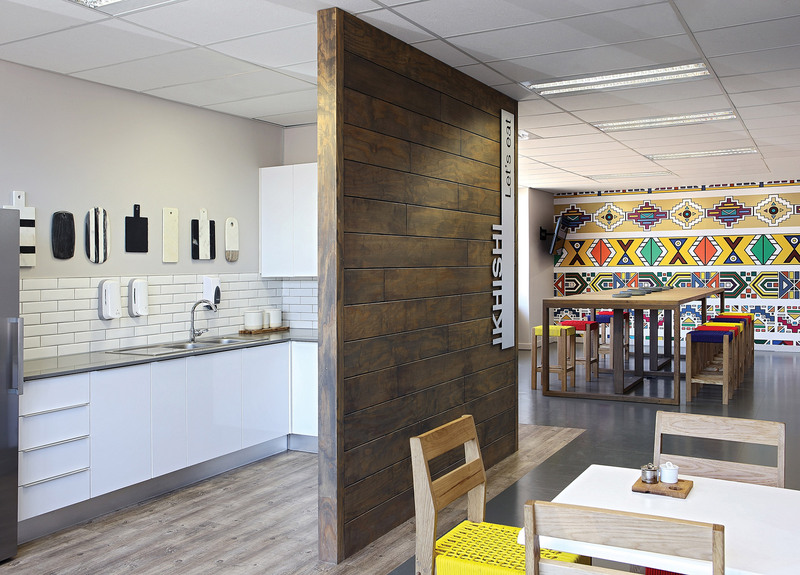 The adjoining warehouse includes the kit room with hospital standard clean and dirty areas for sorting and storage of medical equipment. 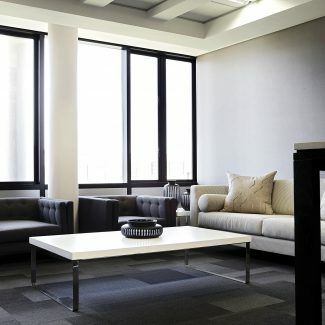 From the first moment, we knew that we had the right partner for us in such an important project. 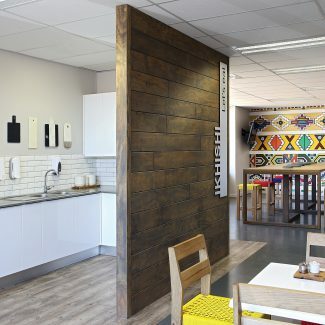 Emma Luyt and her team have demonstrated the flair and creative energy we were looking for, and moreover were able to accommodate our own plans and vision for our new home.